DULUTH, Minn. — It was the day before Thanksgiving, and Minnesota Duluth freshman business major Andrew Dietrich was out hunting with his father, who he hadn’t seen in a couple months. Also a goaltender for the university’s club men’s hockey team, Dietrich received a phone call that day from a Duluth number he didn’t recognize, so he let it go to voicemail, not wanting to interrupt the day with his dad. The call was from Bulldogs assistant coach Adam Krause, who wanted to know if Dietrich wanted to try out for UMD’s NCAA Division I varsity program. 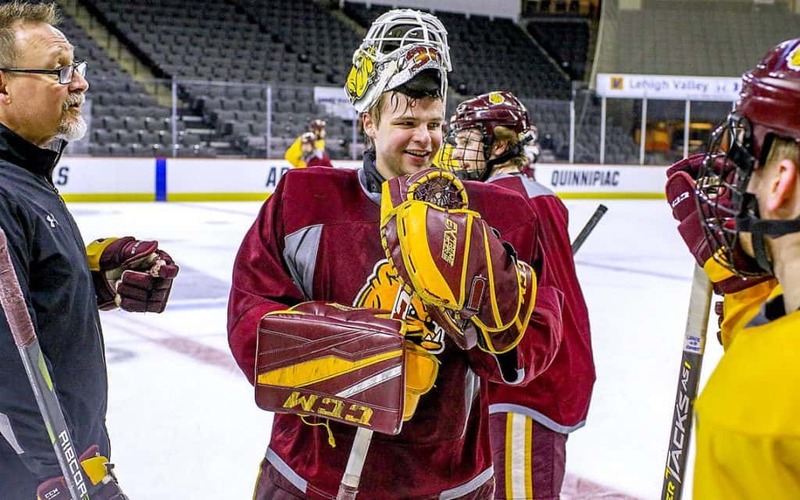 Dietrich didn’t miss his chance to become a varsity Bulldog, and now four-plus months later, the Eden Prairie, Minn., native finds himself heading to the 2019 NCAA Frozen Four in Buffalo, N.Y., where UMD opens against Providence at 4 p.m. Thursday, April 11, at KeyBank Center. 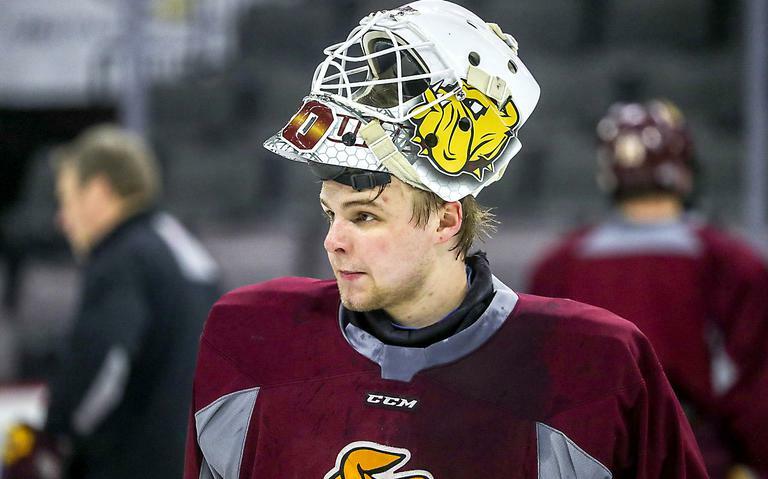 The Bulldogs added Dietrich to the roster during the holiday break after it was apparent third-string redshirt freshman goalie Ben Patt needed shoulder surgery to correct a nagging injury. 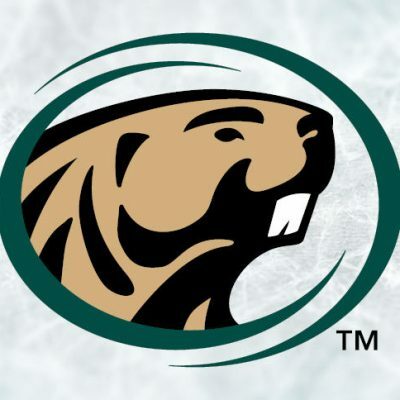 UMD coach Scott Sandelin said he and his staff looked at a number of options for finding a fill-in for Patt, such as bringing in someone from the junior ranks. That’s hard to do at Christmas, though, the coach said. Krause had looked into Dietrich, who played for Blake School as a high school freshman and sophomore before tending net at Eden Prairie as a junior and senior. Dietrich seemed like a good option, so they brought in the 19-year-old true freshman. Dietrich was a backup as a junior in 2016-17 at Eden Prairie, but backstopped them to victory in the Class AA third-place game and recorded a 1.69 goals-against average and .929 save percentage. He posted a 4.14 GAA and .857 save percentage in 25 games as a senior. 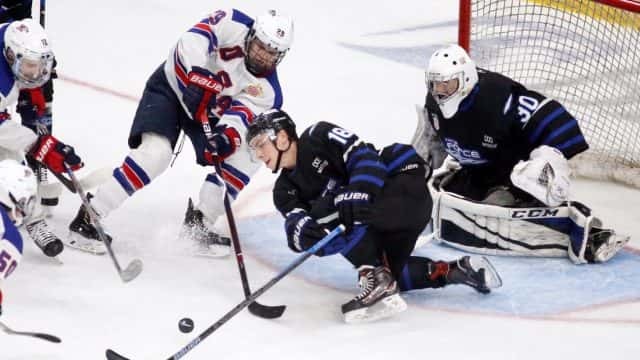 Dietrich said he had opportunities to continue chasing a Division I scholarship by playing junior hockey at lower levels in the U.S. and Canada, but he didn’t like the options. Meanwhile, he already was enrolled at UMD, had his classes picked out, knew his roommate and even had a decent amount of scholarship money. So Dietrich set aside his Division I aspirations to instead focus on a career in marketing analytics. He’d still play hockey, but for the UMD club team, a member of the Western Collegiate Club Hockey Association at the Division II level of the American College Hockey Association. And then Krause called a couple months later. 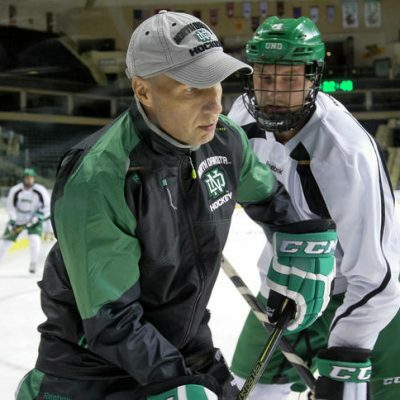 Dietrich admitted to being nervous when he began practicing at Amsoil Arena in late December with the varsity team, taking shots from what he called intimidating guys in Riley Tufte and “Big, bad” Nick Wolff. He’s since settled in and now the nerves get rattled when he’s on the bench, back in the tunnel or — like in Allentown, Pa., during the NCAA Midwest Regional — sitting by himself behind the visiting net because there was no room for a third goalie on the benches. 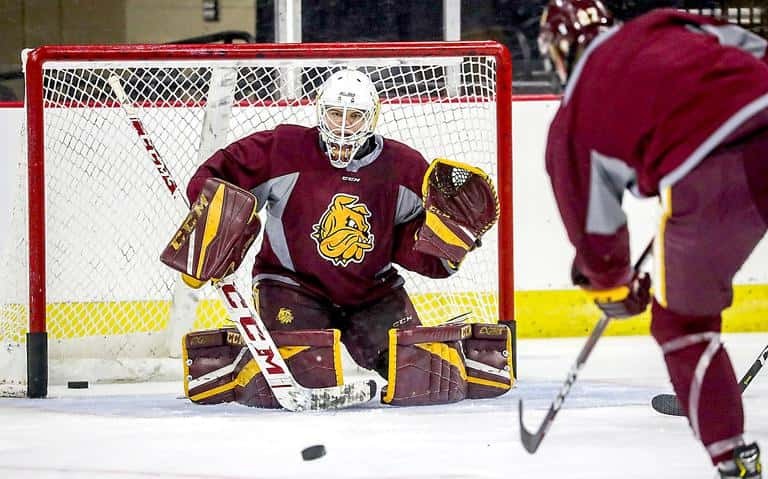 The Bulldogs’ other backup goaltender Nick Deery — who has only played one game during the season behind national goaltender of the year finalist Hunter Shepard — said Dietrich has done his part since joining the team. Having a third goaltender is not just an insurance policy in case of injuries. It’s a huge help in practice. With someone always in both nets, a third goalie allows someone a moment to rest, recharge and stay focused. Dietrich has done that, and also added perspective to Bulldogs who are making their second and third Frozen Four trip this week, Deery said. “It’s pretty cool to see a guy that had no intentions and never expected to be in the spot he’s in,” Deery said. “I mean, it’s always special for us, and we’ve been here. This will be our third time. I can’t imagine what it’s like for him.